Over 130 objections are covered with: pattern language, how to respond when faced with the objection, comments on how the rules apply, practice tips and cautions with detailed advice from the bench, arguments and strategies to support your objection, tactics and arguments to counter your opponent’s objection, and relevant case cites with a synopsis of each case. Most evidentiary rulings are within the judge’s discretion, and are made in seconds. Bad rulings are almost never reversible. As a result, victory usually goes to the lawyer who can prevail on the big objections in the heat of battle. The key to winning evidentiary debates is objecting and responding with arguments and supporting authority at your fingertips. That is where Judges Daniel M. Locallo and Gerald F. Grubb’s Illinois Objections comes in. It uses a courtroom-friendly format to cover over 130 objections with clear and concise explanations, trial-tested tips, persuasive arguments, and supporting cases. Illinois Objections provides a time-saving alternative to lengthy treatises. Its concise but well-supported text puts the rules and cases at your fingertips. And its practical orientation guides you through the realities of evidentiary battles. Illinois Objections is more than an evidence book. In addition to evidentiary objections, you’ll find objections to jury selection, opening statement, closing argument, jury charges, judicial conduct and more. 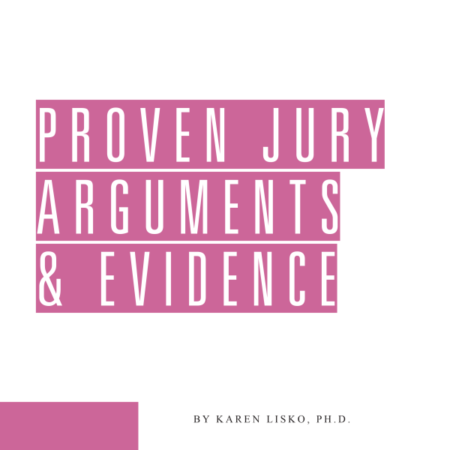 Coverage of all significant trial objections—from jury selection through closing argument—gives Illinois Objections vastly greater practical value than an evidence-only book. The scope and breadth of Illinois Objections far exceeds the mechanics and arguments of making and meeting objections. Rules, definitions, distinctions, scope, weight, advice from the bench, examples, and procedures are provided for key evidentiary issues. Principles are extensively supported with case authority, and the underlying scholarship will impress you. From pretrial proceedings through expert testimony to summation, the practical coverage in this trial practice book will quickly earn its inexpensive keep. This update to Illinois Objections adds over 140 new cases. Illinois Objections gives you clear, concise explanations; practice tips; and relevant rules and case law for more than 100 trial objections. Gerald F. Grubb was Chief Judge for the 17th Judicial Circuit (Winnebago and Boone Counties). He was appointed Assistant City Attorney for Belvidere in 1975 and Assistant State’s Attorney for Boone County in 1976, elected State’s Attorney for Boone County in 1980, appointed Associate Judge for the 17th Judicial Circuit in 1987, and elected Circuit Judge for the 17th Judicial Circuit in 1996. He retired from the bench in 2007. Judge Grubb has presided over major civil and criminal trials for 16 years, including cases in products liability, Structural Work Act, wrongful death, medical malpractice, toxic torts, zoning, injunction, business torts, personal injury, reckless homicide, drug trafficking, attempted murder, murder, and capital murder. He prosecuted major felony cases for seven years. He is a 1975 graduate of John Marshall Law School. Daniel M. Locallo was a Circuit Court Judge of Cook County until his retirement on December 24, 2009. Since January 2010, in addition to doing some private practice, he has worked as a mediator/arbitrator with ADR in Chicago. From 1999 until December 2009, as a Circuit Court Judge, he was assigned to the Law Division and presided over 100 civil jury trials. Prior to 1999 he was assigned to the Criminal Division within the Felony Trial Division at the Criminal Courts Building, where he presided over more than 100 criminal jury trials from 1992 until 1998. He was appointed an Associate Judge in 1986 and elected a Circuit Judge in 1992. Judge Locallo is former Chair of the Criminal Law Section Council of the Illinois State Bar Association. He has taught in seminars for continuing education for judges within the Circuit Court of Cook County and State of Illinois on both civil and criminal matters. He graduated from John Marshall Law School in 1977.